Go green and make your house more charming with cute handmade hanging decorations for St Patrick's Day. 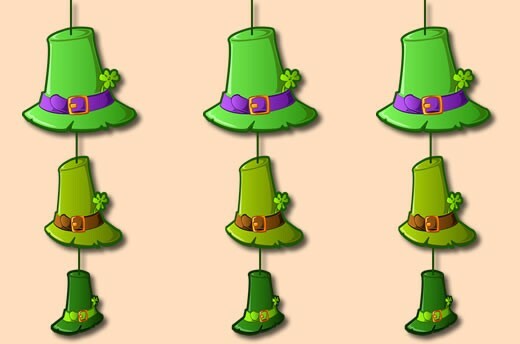 Hang the Leprechaun hats garland and string decorations everywhere in the house for festive St. Patrick's Day ambience. With this Hellokids St Patrick's Day decoration, you can create a one-of-a-kind Irish party that your guests be sure to remember! Print the Leprechaun Hats templates below and cut out each design. Lay your pieces flat and arrange in the design you like using the different green hats sizes. When you have the order of which you would like your decoration to hang then glue the middle of each piece and lay your string down the center. 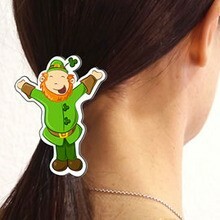 Fold the two pieces together so your hanging Lerprechaun craft is double sided. 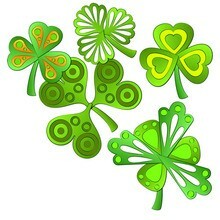 You have created a green Hat hanging decoration to display at home or even in the car on March 17. This also makes a fun school craft to help decorate the classroom. Enjoy!